When you go digging, who knows what history you’ll dig up. In Fiona Barton‘s The Child, we follow the stories of four women: Emma, Jude, Kate and Angela in 2012 London. The women might not know it yet, but the four of them have a very interesting bond that brings them together. While working on a construction site, a foreman discovers the remains of an infant child, leaving everyone to wonder who the child was and how did it end up buried in a garden on Howard Street, forgotten for nearly thirty years. Reporter Kate Waters wants to bring justice and find peace to the deceased child and its family. While investigating, she connects with the Irving family, who had their infant child kidnapped from a hospital in the 1970’s. Mother Angela wholeheartedly believes that the baby buried in the Howard Street garden is her little Alice. The reality of finally solving the mystery that plagued their family for decades comes to rest, but without the satisfaction Angela anticipation. Emma Massingham has her own dark secret though and she knows that the baby in the garden is not little Alice, but rather it’s her child. While she was 14, she was raped by her mother, Jude’s, boyfriend and hid her pregnancy from her family and friends, feeling the guilt and shame of the incident. When the child is stillborn, Emma buries the child in the garden, hiding any evidence that she was a teenage mother or betrayed by a man she felt was a father figure. Dirty secrets must run in the Massingham family as mother has her own skeleton in the closet. While pregnant, she suffers a miscarriage and lies to her then-boyfriend and rockstar Charlie about the baby, in hopes to force him into staying home and starting a family. In hopes of keeping the charade afloat, she kidnaps an infant from the hospital. I’m not going to spoil it, but, put your detective hat on and figure it out. This is one of those mystery stories that I thought I had pegged multiple times throughout, but even still, it left me shocked and surprised until the very end. Barton does us a favor by stating early on that Emma has a secret and a connection to the baby in the garden at Howard Street, but discovering who baby Alice was was the real kicker and the whole point of the story. Don’t get your head wrapped around trying to figure out who the child is, like I did, because I think you’ll be slightly disappointed when it all comes to fruition. This is one of those page-turners, though I’m not sure if for the right reason. I enjoyed Barton’s style, but it seemed fairly predictable. It grabbed my attention, but once I finished, I definitely felt that it was laid out from the start, you just had to pay better attention. 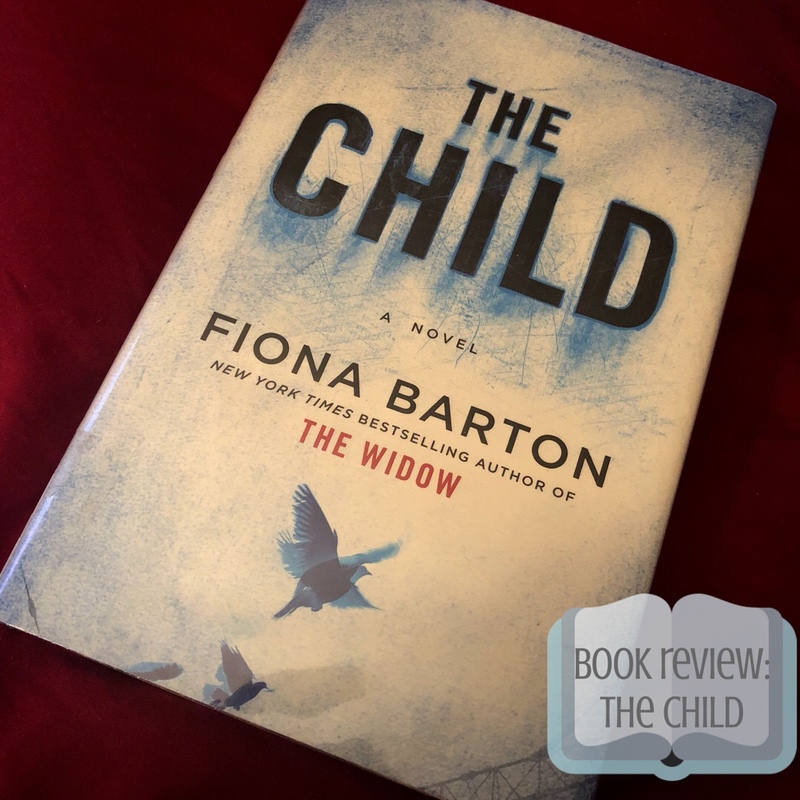 Barton has written another story, The Widow, that is allegedly a prequel to The Child. I didn’t read The Widow and I don’t think it affected my ability to understand the characters and storyline of this story. Though, I would make the suggestion to maybe take the time to check it out for a total understanding. This entry was posted in book reviews and tagged #blogger, bbloggers, beauty blog, blog chat, blogger girl, blogger life, blogger lovin, blogger style, bloggers, blogging, blogging gals, blogging tips, book haul, bookgram, books, books and tea, bookshelfie, bookstagram, booktography, fashion blog, fbloggers, fiona barton, good reads, instabooks, life with sarah, lifestyle blog, murder, mystery, on the blog, reading challenge, reading corner, sarah lokker, sarahhlokk, savvy blogging, story time, the child, yalit. Bookmark the permalink.